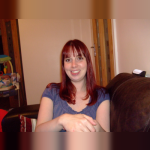 My name is Lorraine and I am an Ofsted registered Childminder based in Tadworth, Surrey. I am 37 years old and have been with my husband for 21 years and married for 13 years. We have a son and daughter. I have always found caring for children enjoyable and rewarding and after Eleanor was born, I decided to leave my job as a Production Executive to become a full-time childminder so that I could spend time with her during the day whilst helping other parents that wish to go to work. In a recent Ofsted inspection I was rated OUTSTANDING in Personal development, behaviour and welfare, and GOOD in all other areas. 10 years experience within the childcare industry. Hours can be negotiated on an individual basis. Please contact me for my daily rate. Below are the latest reviews for Lorraine Rosser. Please note that reviews represent the subjective opinions of other Childcare.co.uk users and not of Childcare.co.uk. Parents must carry out their own checks and references on childcare providers to ensure that they are completely happy before enaging in the use of their services. I was so relieved to have found Lorraine when I had to go back to work after my maternity leave. I initially went to meet with her and was given such a warm welcome and was instantly impressed with her friendly and professional approach. She has a lovely home which is a perfect setting for children with a great selection of toys and activities. I was so worried that my daughter wouldn't settle with anyone else other than me (she's very clingy!) but I needn't have worried. Lorraine is so caring and attentive and my daughter settled with her so well and now loves going and playing with her new friends. I would highly recommend Lorraine to anyone! Lorraine was an absolute godsend when my son first started school. The after school club that he attended before going to Lorraine, made him really unhappy. He would cry every day and even talk about it on weekends in anxiety. After sending him to Lorraine, he was a different boy, and he settled very quickly. The setting is lovely and home-like, with interesting features like the fish tank, and a big enough array of toys to keep my son interested. We only left due to distance/practicality, otherwise would have stayed on! My daughter started going to Lorraine's over a year ago. I couldn't be happier with the care and attention Lorraine gives her. They do all sorts of activities, from playgroups, music lessons, trips to the library, arts and crafts, etc. Lorraine's two children are lovely and my daughter is very fond of them. Lorraine is very reliable and caring, I have peace of mind knowing my daughter is under her care. Lorraine is a friendly and warm childminder who was excellent with my now 20 month old daughter. We started with her when I went back to work, when my daughter was 10 months old, and we were so impressed with Lorraine's attitude and professionalism. She has two lovely children of her own who have been wonderful with my daughter. She has a very nice, clean setting with plenty of toys and activities to entertain and educate, no matter what the weather. She also took the little ones out for regular playgroups etc. My daughter took her first steps after a day at her setting! We have sadly moved out of the area, which is the only reason we're leaving. We'll really miss Lorraine and would not hesitate to recommend her services. Lorraine looked after my son when I returned back to work after maternity leave and he settled immediately making the transition back to work much easier! He was only 9 months old but in a short time he progressed more than I could ever have expected in Lorraine's care. Lorraine is very warm and approachable whilst also being very professional with a safe and secure home. Her setting is perfect for children of all ages and she has a range of toys to suit this and encourage their development. Many thanks for all that you did for us! !